Feb. 22, 2009: Levi Leipheimer of the USA climbs Palomar Mountain during Stage 8 en route to his overall victory in the Amgen Tour of California. When the Amgen Tour of California rolls through the Bay Area next spring, there is no guarantee that San Jose will be there to host it. The five-year-old bike race spans 14 cities of the Golden State and is often compared to the famed Tour de France. 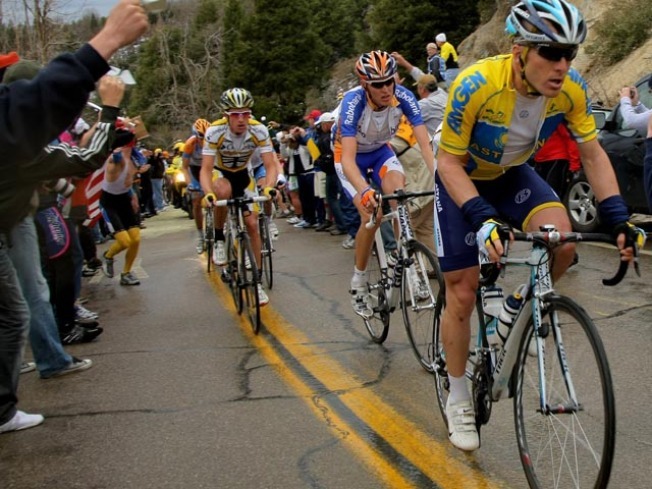 Lance Armstrong has competed nearly every year. San Jose Mercury News is reporting that San Jose officials will only host the event if they are awarded the finishing leg of the stage. San Jose was the original holder of the finish line the first three years of the bike race, however the last two years it started in San Jose and finished in Modesto. After holding mid-week stages from downtown to Modesto the last two years, San Jose might get what they want. San Jose prefers that finish because of the attraction it brings to the downtown area. That combined with the lack of attention a midweek start receives; it is clearly not worth it to San Jose officials. Krutko believes the organizers of the tour need to acknowledge the strong ties San Jose provides to the race, its cycling terrain and riding community. In attempt to find new locations in case San Jose bows out, race officials say they are looking to Chico, Butte County and Lake Tahoe.